Speaking of moving, I moved house last month. It was all a bit sudden (no thanks to my old landlord) and meant that we had to start packing the day we got back from our trip to Africa. My desk, as ever, was not very tidy, so everything that was on it got swept into a series of boxes of denial that I didn’t want to open, despite (or because?) I have a wonderful new desk in a wonderful new office for it all. This week, however, I had to surrender one of these boxes to Lilly so she could transport a cake, leaving me faced with its contents of denial. Some of this junk is, well, junk, but like the Citroen BX I saw driving up the Westway once, some of it is genius and is To Good 2 Scrap. Like the genuine washing machine brain – I’m sure I’ll do something interesting with that one day! I like to dip my toes into the waters of animation, and in this YouTube-dominated era of the music business, the importance of the video-sharing site has given me new opportunities to mess around with the medium. I’ve created some small animated loops for a pair of albums this summer, for Hospital Records and its sister-label Med School. Hospital’s most prolific artist Logistics is back with a new album called Polyphony. Matt comes from an incredible creative, artistic background and has frequently collaborated on or designed his own record covers. The cover for this album was no exception – it was something he created himself on his phone (! ), and I found on his Instagram account. We all thought it was fab in the Hospital office, so it became the cover for Polyphony. 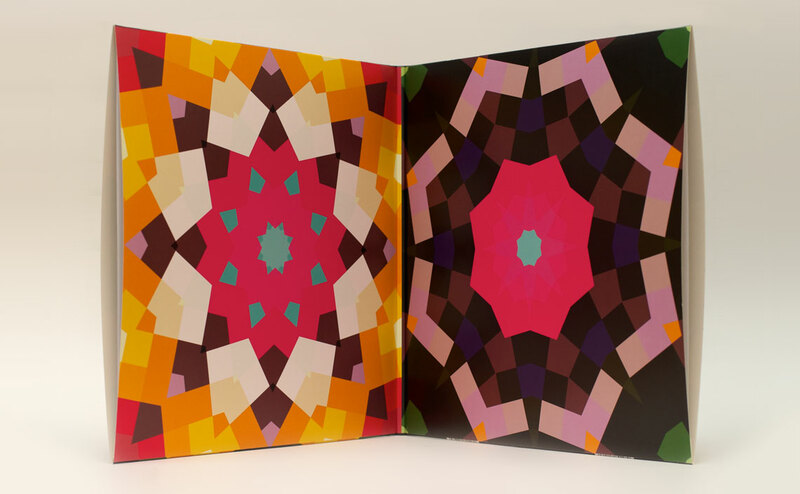 I loved the kaleidoscopic style, so I reverse-engineered it in the process recreating a small, hypnotic animated loop. This proved useful not only for the YouTube videos (as embedded above) but also became the source for the rest of the artwork on the album. 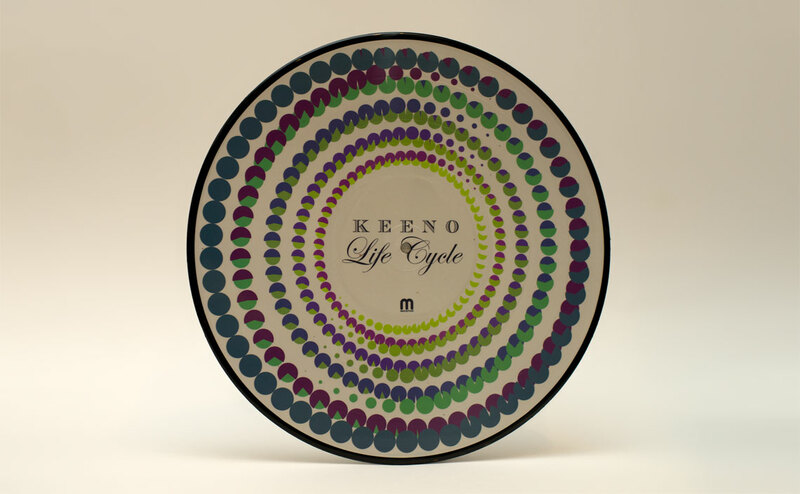 Keeno’s debut Life Cycle was a bit of a puzzle for me. He is a brand-new artist that incited a lot of passion from the Hospital CEO Tony Colman – many thoughts were expressed about classical music, reference points were made that I wasn’t getting and dead-ended sketches were produced. After a while I gave up on the reference points and just followed my nose – I figured as the album was called Life Cycle, I should try and represent a life cycle visually. I remembered back to my past experimentation with phonotropes – using a turntable and a camera’s shutter speed to create animation. After all the sums and technical experimentation, I got the design working. The little guy gets eaten by the big guy all the way along the cycle, which made the nice radial image used on the cover. The next most difficult part of the project was convincing Med School to release the album on limited-edition picture disc, to make it all make sense. It’s taken me such a long time to write this that they’ve all sold out already, and it’s had to be re-pressed on regular black vinyl! If you were speedy and got a copy, put it on a turntable under a really bright light, and if you look at it through your phone’s camera, you should see the design come to life like it does in the YouTube video!